NetZoom™ comes with NetZoom Visio Add-in for Visio diagramming. NetZoom users can access Visio Stencils for every device in their Data center and create Visio Diagrams. 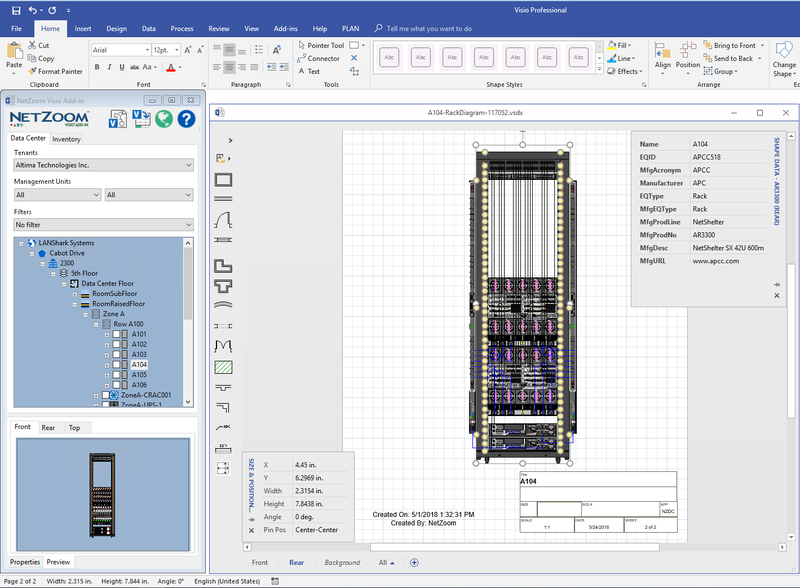 The NetZoom Visio Add-in offers the ability to auto diagram Rack elevations and device configurations for data center assets and inventory directly in Visio. 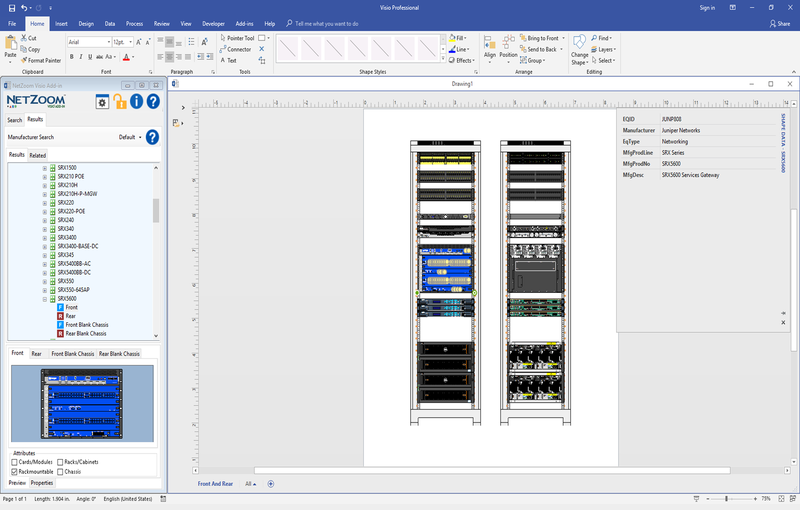 The NetZoom Visio Add-in also offers a Rack Builder template that can be used to create Front and Rear views of Rack elevations simultaneously. Visio® is a registered trademark of Microsoft Corporation.